Commentator Christopher Ram has launched a blistering attack on President David Granger over remarks he made while in New York last week and has also raised questions about wider problems in the APNU+AFC government. In a letter in yesterday’s Sunday Stabroek, Ram cited an appeal by Granger for persons in the diaspora to return home as the country needed brains and his description of the country’s primary commodities as the “curse of the six sisters”. “Unfortunately, Mr Granger did not on that or any earlier occasion indicate the basis, logic and justification of the call for brains. Guyanese abroad respectfully attend presidential visits as a social event but have not been responding to President Granger’s several calls, in the absence of an industrial or investment policy, or a diaspora policy, or a crime policy. We not only need such policies but also a study to identify the skills set the President so much wants to attract”, Ram stated. 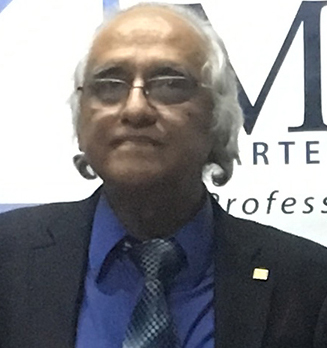 He posited that in their adopted countries, the Guyanese diaspora have worked industriously to acquire their skills, are employed in an organised and professional work environment, are reasonably well paid, are not subject to blatant discrimination, enjoy a decent standard of living and feel safe in the society in which they live. None of these can be taken for granted in Guyana, he asserted. 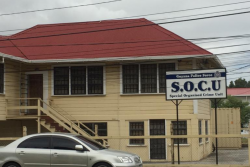 Ram also suggested to the President that he have his Public Service Department audit the persons dismissed since the APNU+AFC administration took office, together with their qualifications and experience. “There are a lot of discarded and unused brains available but unfortunately they seem to lack the further qualification of the right race. Glaringly, this is true of the permanent secretaries under the PPP/C”, he contended. He cited two examples. 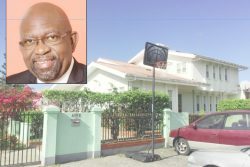 He pointed out that Collin Croal holds an MBA and served creditably as Permanent Secretary in three ministries under the former PPP/C government. Ram said Croal has not been implicated in any wrongdoing but was effectively dismissed by the Granger administration because he was on the PPP/C list for the 2015 elections. Ram added that by contrast, Elisabeth Harper was the PPP/C prime ministerial candidate for the elections but no sooner was she terminated than she was recalled to the foreign ministry. “Other than gender, was there some reason?” Ram questioned. 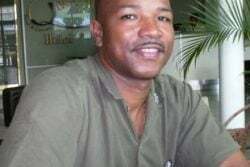 He charged that being on an electoral list appears to have been a qualification for top jobs in the Granger administration for the hierarchy of the APNU and AFC parties, some of whom are paid high salaries determined on the whim of persons of equally suspect expertise. On the “outlandish” description of sugar, rice, bauxite, gold, diamonds and timber as “curses”, Ram said that even if the President did not write his own speech, he must know that some of those very curses have sustained the country since the mid-seventeenth century. “Of course there were horrible evils attendant with some of those sectors but certainly not all, and equally certainly, the opportunities for correction were many. Perhaps historian Granger might wish to explain why his idol Mr Forbes Burnham did not rid Guyana of these `curses’ when he controlled Guyana with an iron fist”, Ram stated. Ram, a chartered accountant and attorney, said that those “curses” provide the economy with growth, foreign exchange and taxes, and the people with employment and spending power. “Think what will happen to some of the communities if gold, diamond and bauxite mining – which account for close to 20% of GDP and a significant share of the workforce were to be relegated to Guyana’s economic dustbin of history. Rice and sugar may account for only 8.6% but they do account for significant foreign exchange earnings and substantial numbers of the workforce. Had the President described the sectors as having challenges, he would have been stating the obvious. But curses, certainly not”, Ram declared. He suggested to the President what some of the real curses of Guyana have been since Independence, which in many cases, he said, are being perpetuated and in some, getting worse.